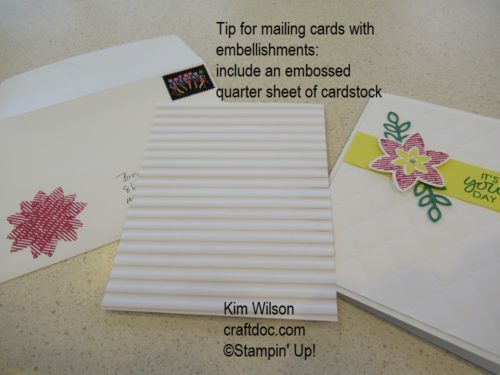 I shared some Card Mailing tips the other day on my facebook page. 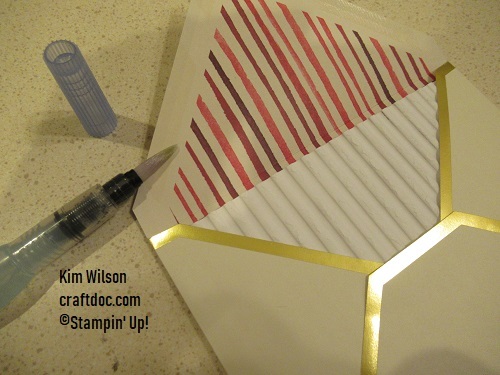 Here’s just one: If you are like me, and like to use embellishments on your cards, this tip is for you. I sent out a large stack of various Christmas cards and was surprised how many of them had rhinestones or a bulky knot or bow. Run a quarter sheet of cardstock through the Corrugated Embossing Folder (I did 2 at once since I needed a bunch). Lay it over the cardfront and your rhinestones will no longer poke through the envelope when the card is machined at the post office! Another tip: If you hate licking envelopes – try using your aquapainter!